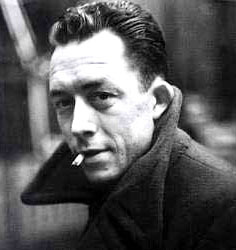 On January 4, 1960, Albert Camus died in a car crash at a point when he thought his true work had not even begun. He was 46 years old. He had already written The Stranger, The Fall, and The Plague, among other works. He had won the Nobel Prize for Literature. Yet he felt that in his writing he had to hide behind a mask that stifled him. 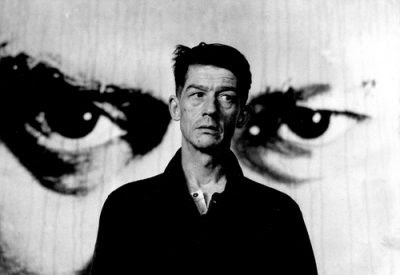 After all these successes, as well as criticism from the left and right French intelligentsia, he was looking forward to a time when he would be able to speak his own truth without the mask of depersonalization -- to enter a period of creation en liberte. A true artist, Camus tried to serve both beauty and suffering. Quintessentially a man of his era, he was haunted by the image of the world as a prison, exemplified in his novel, The Plague, the tale of a town cut off from the world by a pestilence, whose residents lack the imagination to foresee. Even as it happens, they remain oblivious, for they "work hard, but solely with the object of getting rich." Bored by their habits, heavily drugging themselves with drink, and watching many movies to distract themselves, they fail to grasp the significance of "the squelchy roundness of a still-warm body" of the plague-bearing rats that emerge from their underworld to die in their streets. "It was as if the earth on which our houses stood were being purged of their secret humors; thrusting up to the surface the abscesses and pus-clots that had been forming in its entrails." To them the plague is "unthinkable," an abstraction, until all their denials are swept aside as the truth emerges from the sewers and their neighbors and families die from the disease. "Stupidity has a way of getting its way;" the narrator, Dr. Rieux, tells us, "as we should see if we were not always so wrapped up in ourselves... plagues and wars take people equally by surprise." For we live in plague time, and the plague lives in us. Like the inhabitants of the novel's French-Algerian city of Oran, the United States is "peopled with sleep walkers," pseudo-innocents, who are "chiefly aware of what ruffled the normal tenor of their lives or affected their interests." That their own government, no matter what political party is in power (both working for deep-state, elite interests led by the organized criminals of the CIA), is the disseminator of a world-wide plague of virulent violence, must be denied and divorced from consensus reality. These plague-stricken deaths visited on millions around the world -- by Clinton, by the Bushes, by Obama, and potentially by Trump -- must be denied by diverting attention to partisan politics that elicit outrage after outrage by the various factions and their minions. The true plague, the bedrock of a nation continually waging wars against the world, is avoided. Presently, it is the liberals that are "shocked" that Trump was elected President. These are the same people who went silent for the last eight years as Obama ravaged the world and lied about his cruel policies. Their shock over the Trump victory reeks of bad faith, with most of them supporting Hillary Clinton, Obama's presumed heir apparent and a neo-liberal war-monger par excellence. Further "shocks" will follow when Trump leaves office and the latest neo-liberal avatar succeeds him; conservatives will resume their harangues and protestations, just as they have done during Obama's reign. The two war parties will exchange insults as their followers are outraged and the American Empire, built on the disease of violence, will roll along. The plague will rage on and the main-stream corporate media will play along. For "decent folks must be allowed to sleep at night," says the character Tarrou sarcastically; he is a man who has lost his ability to "sleep well" since he witnessed a man's execution where the "bullets make a hole into which you could thrust your fist." He awakens to the realization that he "had an indirect hand in the deaths of thousands of people." He loses any peace he had and vows to resist the plague in every way he can. "For many years I've been ashamed," he says, "mortally ashamed, of having been, even with the best intentions, even at many removes, a murderer in my turn." The rats are dying in the streets. They are our rats, diseased by us. They have emerged from the underworld of a nation plagued by its denial. Unconscious evil bubbles up. We are an infected people. Worry and irritation -- "these are not feelings with which to confront plague." But we don't seem ashamed of our complicity in our government's crimes around the world. Camus knew better. He warned us, "It's a wearying business being plague-stricken. But it's still more wearying to refuse to be it. That's why everybody in the world looks so tired; everyone is more or less sick of plague. But that is why some of us, those who want to get the plague out of their systems, feel such desperate weariness." Yet the fight against the plague must go on. Tarrou puts it thus, "All I maintain is that on this earth there are pestilences and there are victims, and it's up to us, so far as possible, not to join forces with the pestilences. That may sound simple to the point of childishness; I can't judge if it's simple, but I know it's true. You see, I'd heard such quantities of arguments, which very nearly turned my head, and turned other people's heads enough to make them approve of murder; and I'd come to realize that all our troubles spring from our failure to use plain, clear-cut language. So I resolved always to speak -- and to act -- quite clearly, as this was the only way of setting myself on the right track." On this date of his death, I wish to celebrate such a man, a great artist who tried to heal and "bear witness in favor of those plague-stricken people; so that some memorial of the injustice and outrage done them might endure; and to state quite simply what we learn in time of pestilence: that there are more things to admire in men than to despise."